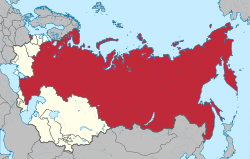 ↑ The Free Dictionary Russian Soviet Federated Socialist Republic. Encyclopedia2.thefreedictionary.com. Retrieved on 22 June 2011.